At WFT Ireland, we are constantly inspired and impressed by the caliber of work being done by our members across the film industry. So much so, that we are delighted to have the opportunity to highlight their achievements with our new monthly slot ‘Member in Focus’. For April, it is only fitting we celebrate the talented filmmaker and editor, Claire Byrne, of Alfonso Films, who’s short Her Name Is… was the winning film at the annual WFT Short Film Showcase on March 6th in the IFI. We spoke with Claire about her passions, her career and all things film. What’s your own background in film? I studied fine art in college where I did a lot of moving image work in my final year and from there went on to do a Masters in Direction for Cinema and TV in Edinburgh. At times I felt that I was completely out of my depth but learned so much about the essentials of film-making, the nuts and bolts. I had only ever approached it as an art form so when it became technical it was very intimidating! But I came away with good industry knowledge and experience of cameras and editing. What are the films that really inspire you? I’ve always loved hard-hitting dramas that give you a real punch in the gut and stay with you for a while. When I first wanted to make films, I was obsessed with the work of Shane Meadows and Andrea Arnold, they were getting such visceral performances from their actors and creating a great sense of time and place in those films. More recently I Daniel Blake by Ken Loach had that same resonating effect on me and Apostasy by Daniel Kokotajlo, I still find myself thinking about that film. I saw Woman at War at Dingle Film Festival and left the cinema so excited. It’s so cleverly written and executed, I would highly recommend it. I am still buzzing about that film! It has a female heroin which I am a huge fan of! The Favourite by Yorgos Lanthimos is another one with incredible female leads and of course anything he makes is just so unique and engaging. As a director, what attracts you to a story? I’m very attracted to any story with a strong and complex female lead at the centre of it. Characters are how you connect with a film so it’s important that we can see ourselves in them somewhat, with all their flaws and strengths. I think we are used to seeing male characters written so well with layers and complications that when I see this in a female character, I get so excited by it. Can you tell us about Her Name Is… and how the film came about? Her Name Is… is the brain child of Lydia McGuinness who we, at Alfonso Films, had worked with on our first short film Spent. Lydia wrote the script with Ben Conway and asked us to come on board to co-direct and produce it. The script jumped off the page and felt ready to be made so we said, let’s do it! Lydia worked tirelessly to raise the funding for the film on Kickstarter and a few months later we were in production. It was a really enjoyable and collaborative process and we’re all so proud of the end result and our amazing team. You’ve had some great success recently along with Emma Wall and Jo Halpin. Can you tell us how Alfonso Films formed? Alfonso Films began when the three of us were applying for funding for a short film and we needed a team of three to apply. We didn’t get that funding but made the film anyway and we got such a buzz from working together and making things happen for ourselves. We made some music videos after that and then Her Name Is… and after getting into the swing of funding applications, we landed the opportunity to join Bumble’s Female Film Force with Emma’s script Pat. I think after that it became very clear that we are strongest when working as a team, so we became an official production company and just this year we made our first commercial with the creative agency, Kick, for Maynooth University. We each bring different industry experience to the table. We’ve learned a lot from each other and it’s just been the most supportive and encouraging experience since it kicked off a little over two years ago. Claire Byrne, Emma Wall, and Jo Halpin of Alfonso Films. What was it like working on Bumble’s The Female Film Force? It was amazing! Bumble and WDW Entertainment really gave us the freedom and trust to make the film we wanted to make while always being there for support and advice. The best thing for me about this scheme is that it allows for all levels of experience, so Emma got to Direct her own writing which was so important and I got to try my hand at Cinematography while Jo was producing on a generous budget of €22,000. It was a challenge but was always enjoyable and we had a brilliant team between our crew here in Ireland and the women at WDW in the UK. It’s been very encouraging overall and a really important scheme to give emerging women in the industry a leg up! What projects do you have in the pipeline at the moment? Right now, I am working on a Screen Ireland Short Film that I am directing called Sister This, written by Tracy Martin and produced by Claire Gormley. I’m still pinching myself to be a part of the Focus Shorts scheme, the standard is always so high each year and it’s been an amazing experience so far working with Screen Ireland to develop the script. The script is based around a phone call between two sisters and is a really honest and heart-breaking story and I can’t wait to make it! 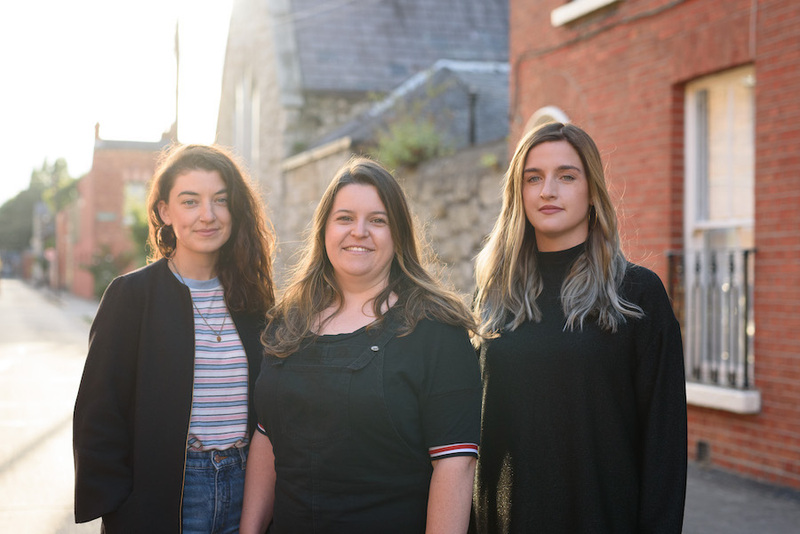 Tracy and Claire actually came across me as a Director last year at the WFT Ireland short film showcase where they saw my first short film, Spent, and they asked me to come on board for the Screen Ireland application! I feel like I owe a lot to WFT and for the opportunity to screen at such an event for female filmmakers. Claire Byrne is an Irish filmmaker and editor living in Dublin. She graduated from an MA in Film Direction at the Screen Academy Scotland in 2013. Following her graduation, she moved to Toronto, Canada where she worked on TV commercials for two years. There she was based in the art department. Since returning home Claire directed her first short film, Spent, starring Lydia McGuinness. Spent screened at 13 film festivals around the globe. 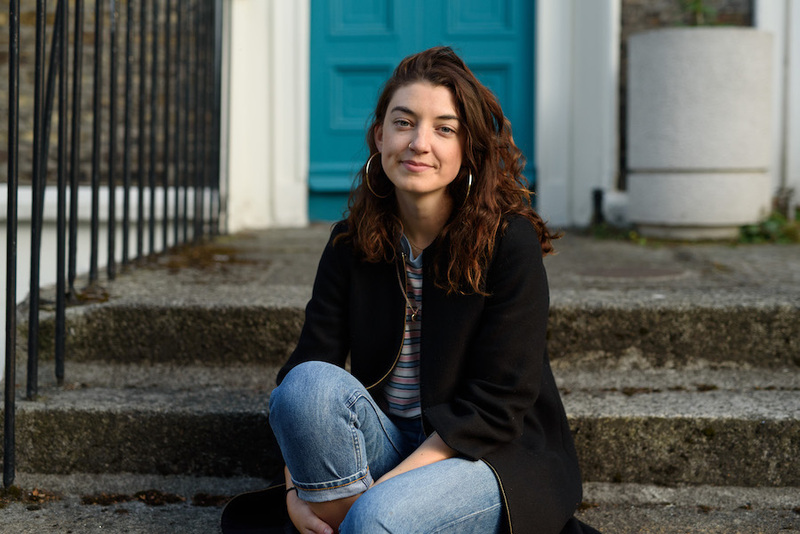 Last January Claire and Lydia co-directed Her Name Is… which premiered at the 2018 Galway Film Fleadh. Claire, along with Jo Halpin and Emma Wall, set up Alfonso Films in 2017 and together they became a part of Bumble’s 2018 Female Filmmaker Force. The new production company just completed their first commercial with Claire as director. The commercial is for Maynooth University and was with the creative agency Kick. Claire is currently working on a Screen Ireland Focus Short called Sister This written by Tracy Martin and produced by Claire Gormley. Her Name Is… from claire byrne on Vimeo.